For faithful Catholics questioning whether final sacraments are available to those who have chosen a medically assisted death, the answer may depend on whom in the church they ask. A proper funeral is far more than an end-of-life celebration for practising Catholics, who believe last rites cleanse the soul of sin in preparation for eternal life in heaven. But for the faithful questioning whether those final sacraments are available to a loved one who has chosen a medically assisted death, the answer may depend on whom in the church they ask. Catholic doctrine is unequivocal in its opposition to any form of suicide, but Canadian bishops have taken different positions on whether churchgoers who choose an assisted death should be absolutely barred from having an official funeral. Some religious experts say the schism is the product of Pope Francis's arrival at the helm of the Catholic Church in 2013, and his emphasis on tolerance and compassion. Wayne Sumner, a professor emeritus of philosophy at the University of Toronto, said a more flexible approach to the granting of funeral rites is in line with Pope Francis's similarly softened tone on homosexuality, divorce and the ordination of women. "I think you've got some hard-liners here who want to follow the doctrine, and you've got some others who feel a compassion for people who have chosen this route and don't want to punish them or their families any more or unnecessarily," he said. In the wake of assisted dying becoming legal in Canada earlier this year, six bishops in Alberta and Northwest Territories released guidelines last month instructing priests to refuse funerals for people who choose assisted dying. The document describes how physician-assisted death is a "grave sin" and contradicts the teachings of the Catholic church. Death by assisted suicide and euthanasia are grave violations of the law of God, the document says. "These grievous affronts to the dignity of human life from beginning to natural end are never morally justified," it says. Other church leaders since then have said they would not encourage the absolute prohibition of funerals for everyone who chooses assisted dying. Emma Anderson, a scholar of Canadian Catholicism at the University of Ottawa, said the division among Catholic bishops follows from Pope Francis's move to empower lower levels of leadership to make decisions based on local circumstances. The sometimes contradictory results of such delegation of authority risks confusing church members, Anderson said. "It can be profoundly disturbing if you're a devout Catholic to be getting really different messages in Quebec, in Ottawa, in Alberta, in the Northwest Territories," she said. "There doesn't seem to be a national stance on this issue." Not everyone sees the bishops' views as contradictory, said Michael Agnew, a post-doctoral fellow in the religious studies department at McMaster University in Hamilton. "It's not necessarily that there's a schism over the church teaching, at least in the hierarchy or the leadership of the church," Agnew said. "The difference is probably in the tone that's being used at times and individual bishops' or priests' flexibility around access to these services." Rev. 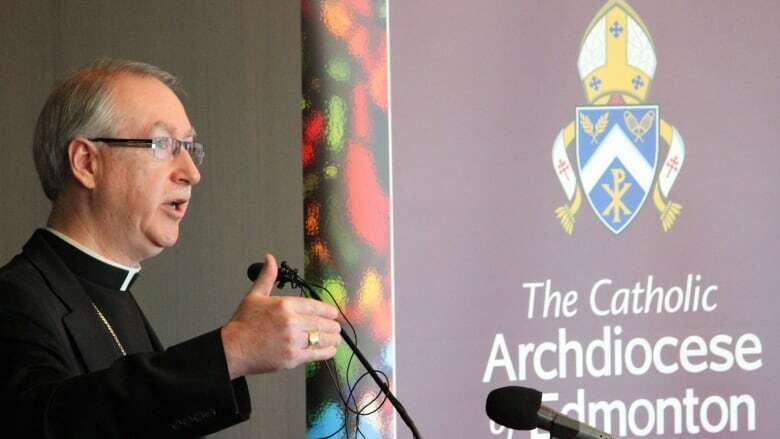 Marc Pelchat, vicar general of the Archdiocese of Quebec, said the variation among bishops across Canada has less to do with church doctrine on assisted death and more to do with a difference in approach. Pelchat said bishops in Quebec encourage a more case-by-case treatment for physician-assisted deaths and are reluctant to establish a hard-and-fast rule that ignores individual circumstances. But the church ultimately opposes assisted death and prefers palliative care, he added. Douglas Farrow, a professor of Christian thought at McGill University in Montreal, said the difference in direction between bishops is no great surprise. "Some of them are more theologically astute than others and some of them are more faithful to the church's teaching than others," Farrow said. Church law gives priests considerable leeway to exercise their judgment on a case-by-case basis, he said. The difference in approach appears to follow some rough geographic patterns as well, noted Arthur Schafer, an ethics scholar at the University of Manitoba. The strong opposition in Alberta follows the province's traditional conservatism, whereas the more permissive attitudes in Quebec and British Columbia are in line with the provinces more progressive approaches, he said.